The Technological Higher Education Association (THEA) has written to the Minister for Finance, Paschal Donhoe TD, on behalf of the 14 Institutes of Technology, with a collaborative submission for investment in the technological higher education sector in Budget 2019 and a multi-annual funding framework for the sector to 2023. The submission outlines an investment requirement of €74.5m in Budget 2019, with an annual investment of €82.5m each subsequent year to 2023 in order to enable the sector to overcome key capacity challenges and invest in future-proofing and sustainability of the sector. This amounts to an investment of €404.5m over 5 years. The core areas of investment cited in the submission are around capital investment in ICT and STEM education equipment along with investment in governance, leadership, and skills in order to build capacity and exploit fully the capabilities and opportunities offered by ICT and digital infrastructure. Environment and Energy Savings are also drivers of investment in order to increase efficiencies and sustainability of resources throughout the sector and establish key campuses across the regions as exemplars in sustainable energy management in line with the KPIs in the National Mitigation Plan for Climate Change. 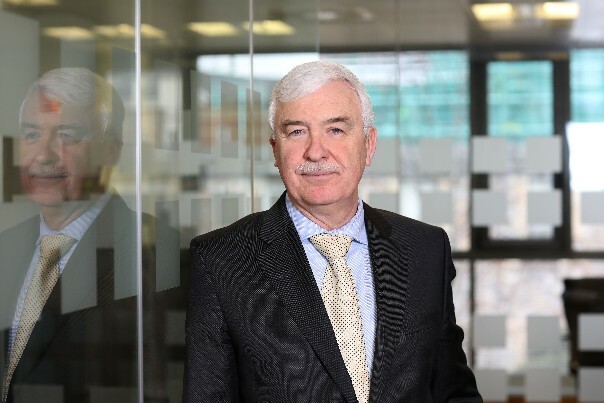 “Our submission focuses on the future with an emphasis on aligning with national strategic objectives and is driven by the priorities outlined originally in the National Strategy for Higher Education to 2030 and more fully elucidated in the National Development Plan Project Ireland 2040”, stated Dr Joseph Ryan, CEO THEA. “While it is clear that our physical infrastructure, equipment, and available resources have been adversely affected by a lack of investment during the economic crisis, it is also apparent that the time has come for central government and our sector to work in partnership to begin to re-equip, upgrade, and enable capacity and quality across a number of specific areas. The development of fit for purpose institutions is critical to enabling capacity from both a quality and quantity perspective. “The technological sector has played a central role in driving policy implementation at local, regional, and at national level and has been a key economic driver throughout Ireland. The growth in enrolment of students in our sector over the past number of years, despite under-investment and lack of funding, has delivered a substantial increase in the pool of talent graduating from higher education. The availability of this talent pool has been a significant catalyst for economic growth and development. Our institutes now need a way to support and renew physical infrastructure to the required standard to protect quality of provision and ensure a fit for purpose campus environment. Furthermore they must build the additional capacity to meet growing levels of student demand. “This investment will allow us better to support our dedicated staff, to upgrade our infrastructure and equipment, ensuring that when our students graduate, they are work-ready, accustomed to working with industry-standard advanced systems. It will ensure that our leaders are best placed to take full advantage of all of the teaching and engagement opportunities that ICT and digitisation offer. The ability of our sector to deliver on this mission of workplace-based-preparedness with a strong and credible link to industry critically depends on the availability of laboratories, workshops and related facilities which are industry standard and fit for purpose. “Investment in ICT and digitisation is not entirely focused on the provision of teaching and learning facilities. Our ability to increase retention rates will be greatly enhanced as IT systems are modernised to allow for the collection and analysis of learner engagement related data. This allows us to identify and intervene at an early stage where students are tagged as experiencing noticeable difficulties and in danger of not progressing. To support this transformation, we are proposing a multi-annual commitment to a leadership training programme customized and tailored specifically to the technological sector which will assist in addressing the particular sectoral challenges. The programme will focus on areas such as governance, leadership culture, change management, visioning and scenario planning and evidence-based decision making. We envisage a ‘Campus Without Barriers’ and one where accessibility is ubiquitous. In order to realise this, investment towards a digital transformation is essential. The submission is the result of a collaborative process involving all 14 Institutes of Technology and is based on a full analysis of 2 years of financial returns from the Institutes of Technology with a particular emphasis on the equipment base – particularly within ICT architecture and STEM education. It presents a multiannual structure and framework to help to future proof the sector and to enable it to overcome the key capacity challenges that exist. The technological higher education sector in Ireland comprises 14 Institutes of Technology. The Technological Higher Education Association (THEA) is their representative body.